A wedge of Canadian geese just did their morning commute overhead from the Silver Lake reservoir–that’s why the grass is so green there–to the Los Angeles River behind me. Honking frantically. What a cacophony. They’ll come back a little less noisy at dusk heading back to the reservoir. I love the sound, and their ragged V’s are always perfect against the sunset. The sunsets have been lovely. Last night the sky to the west went from a gorgeous pink to a beautiful orange that filled the whole front room here with its light. Almost spooky. We went out onto the sundeck and watched till it turned to shades of grey and into black, and the lights in the hills came twinkling on and a last bunch of geese flew past, heading home. And I wasn’t even stoned. 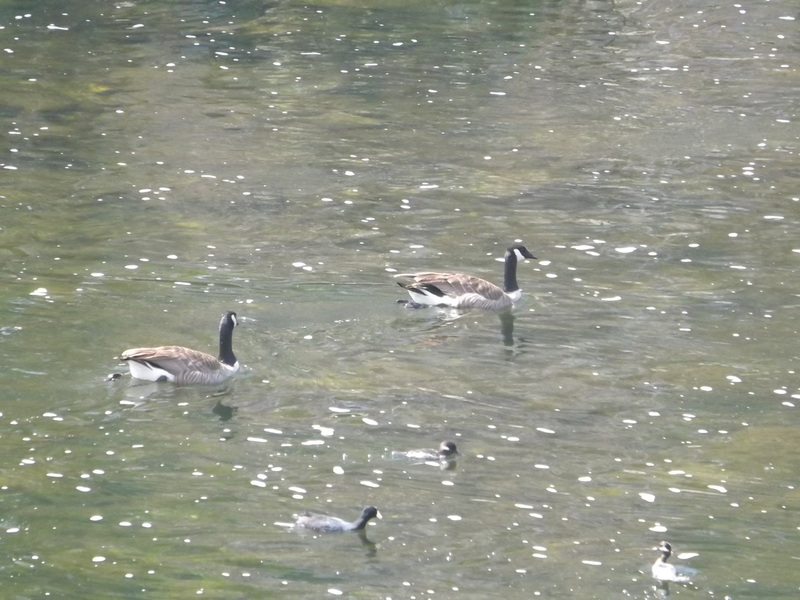 Canadian Geese (and a couple coots and a mallard) in the L.A. River. This entry was posted in Autobiography,memoirs and confessions, Greater L. A. hipsterpolitan region, Places and tagged Canadian geese, downtown Los Angeles, dusk, L.A. Punk, Los Angeles River, Silver Lake, Silver Lake Reservoir, Silverlake, sunset. Bookmark the permalink.